HTC could become the first mobile vendor not affiliated with Sony to receive PlayStation certification for its smartphone and tablet devices, launching titles on its platform later this year, Pocket-lint reports. According to the site’s sources, HTC is expected to make the announcement later this year, but may find its way into an HTC event at the upcoming Mobile World Congress (MWC), commencing at the end of February. 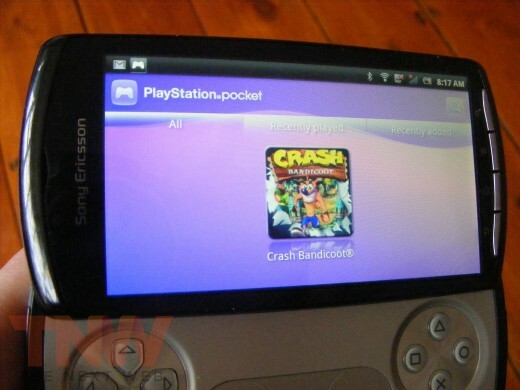 As a result, HTC would be able to offer a number of PSOne titles that have been adapted specifically for the Android platform, including Crash Bandicoot, Assassin’s Creed and The Sims. The platform originally launched on Sony Ericsson’s Xperia Android range, with the Xperia Play’s gamepad helping users get the most from the titles. It expands the PlayStation experience beyond the PSP border. It is the first cross platform endeavour. By delivering PS content over a wider array of devices, we hope to expand the world of PlayStation. The Sony PlayStation Suite is a cross-platform gaming framework for a wide variety of mobile devices. It’s a hardware neutral framework, which means it will run on Android phones without built-in physical keys, via touchscreen emulation. It also comes with its own PlayStation Store. The company has periodically released PlayStation Certified content over the past year, tempting device owners to pick up a few console titles to play on their mobile device. HTC hasn’t had the best few months and is hoping to return to profitability after a dismal last quarter. The Taiwanese smartphone vendor says it will focus on more ‘hero’ devices, after admitting it had tried to do too much by releasing too many devices in 2011. With its Beats integration, the addition of PlayStation content could help evolve HTC’s upcoming devices into powerful media and gaming hubs, just what it needs to compete with rivals Samsung and Apple.